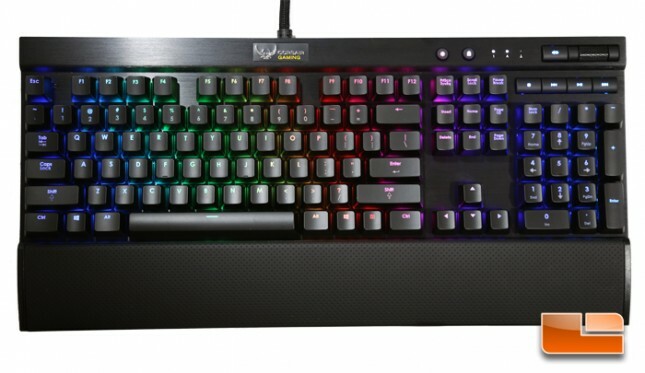 The K70 RGB has a typical keyboard size of 17.2(L) x 6.5(W) x 1.5(H) in / 4.36 x 16.5 x 3.8 cm. It doesn’t have too much extra bezel sticking out from the sides. 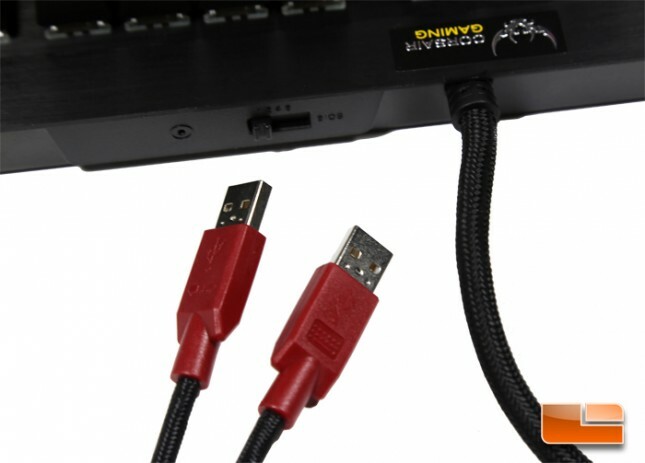 The thick sleeved USB cable is 6 ft long and ends at two plugs. Only one of the USB plugs is needed to power and use the keyboard; the other plug only handles USB passthrough. A slider switch near the USB passthrough controls the keyboard polling rate. By default, “1” is 1000 MHz and goes down to 750 MHz, 500 MHz, and 250 MHz. Sliding the switch all the way to “BIOS” puts the keyboard into a compatibility mode used for a BIOS that may not recognize the K70 RGB. On the top right of the keyboard are media keys for Play/Pause, Next, Back, Stop, and Mute. A rolling bar controls system volume. 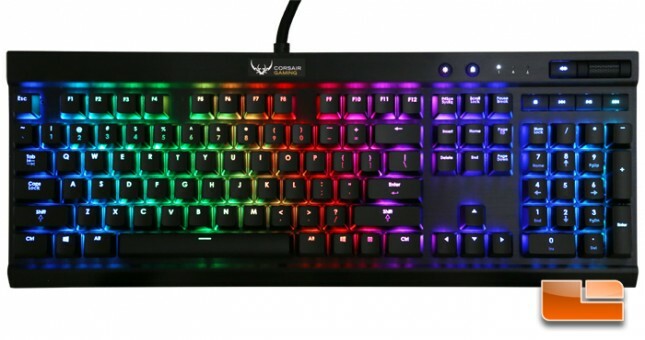 To the left of the mute button are the three lock keys, and further left is the Windows Key lock and backlight brightness adjustment button. 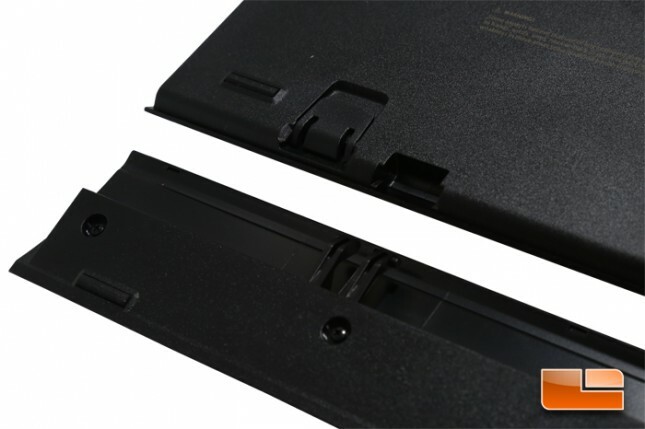 Four flaps can be pulled out at the four bottom corners to adjust keyboard height and angle. 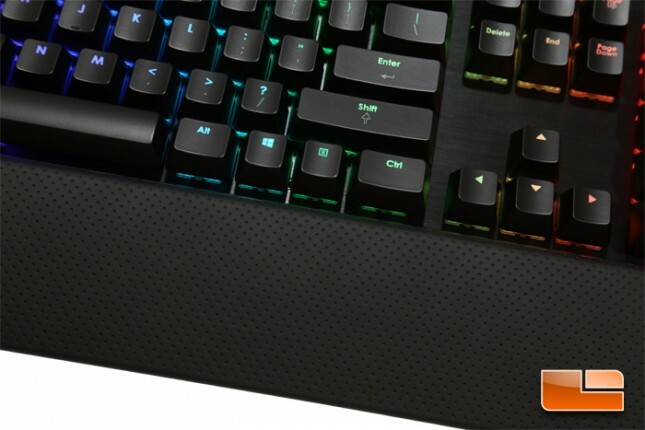 An included textured wrist rest can be attached to the K70 RGB. 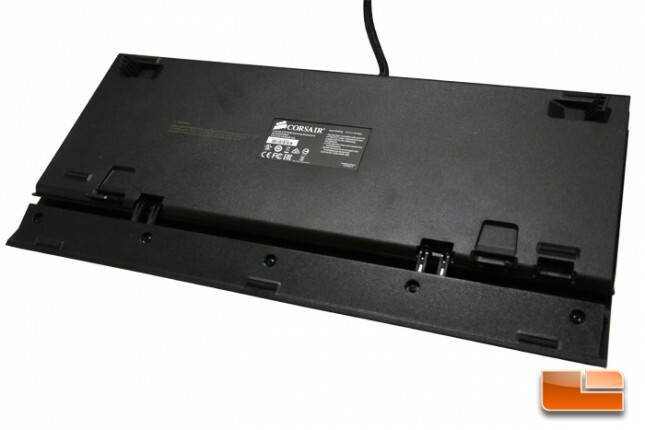 The wrist rest is secured by sliding and snapping the tabs into the slots on the underside and can be removed by pinching the tabs. 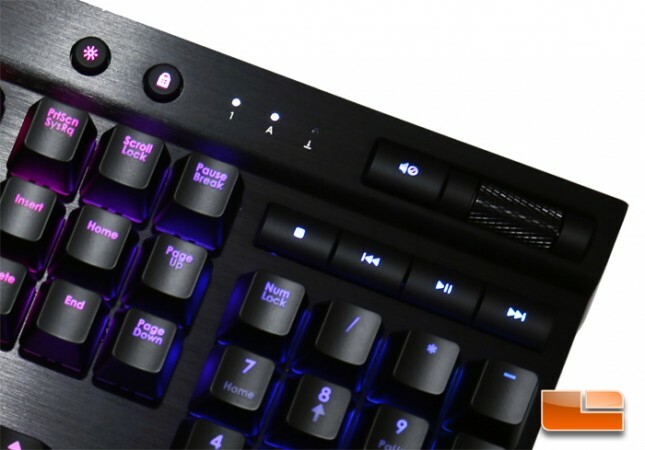 The Microsoft Keyboard Ghosting Demo confirms that the K70 RGB has N-key rollover.